Two of the largest threats facing boreal birds are habitat loss and climate change. Although much the northern boreal has so far been mostly spared from development, the southern portion of the forest has experienced heavy alterations from logging, mining, hydroelectric development, and oil and gas extraction. Climate change has already begun affecting the boreal, with projections indicating the northern portions of the globe will be hit harder than further south. Some of the boreal's most beloved songbirds have faced steep population declines over the past 40 years, including Canada Warbler (75+% decline), Evening Grosbeak (75+% decline), Rusty Blackbird (90% decline), and Olive-sided Flycatcher (70+% decline). Conserving large portions of the boreal forest for these and other birds is more important now than ever. There is much scientific literature connecting habitat loss, fragmentation, and degradation with declines in bird populations. This makes sense—without suitable habitat to find food and nest in to raise young, birds simply cannot survive. 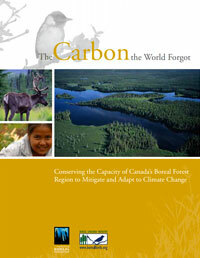 The boreal forest has been hit hard by development over the past few decades. Logging, mining, oil and gas extraction, and hydroelectric development have all taken considerable tolls on the boreal forest. The footprint of resource extraction in the boreal has already surpassed 180 million acres—around twice the size of Japan. The southern boreal forest remains the area most affected, however development continues to creep further and further north into the heart of the boreal each year. 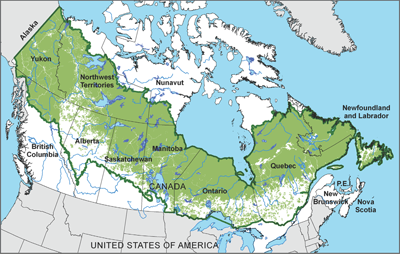 More than 30% of the Canadian Boreal Forest is already slated for some form of industrial development. Without conserving large portions of the boreal forest sooner rather than later, we are likely to continue to see long-term declines among numerous boreal birds species. 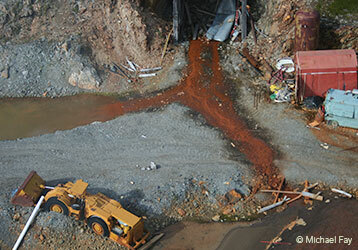 For more detailed information about these resource extraction industries and their impacts on the boreal, check out our Threats to the Forest page. An estimated 98% of Palm Warblers globally breed in the boreal forest, making it one of the most heavily reliant birds on the boreal forest. Climate change isn't just of serious concern to humans. Birds are and will continue to be affected as well. Scientists believe that northern regions, including the boreal, are likely to be hit hardest by climate change. This means changes to and even loss of critical habitat for hundreds of species that rely on the boreal. Boreal ponds and wetlands—on which millions of waterfowl and other birds rely—have already been affected. 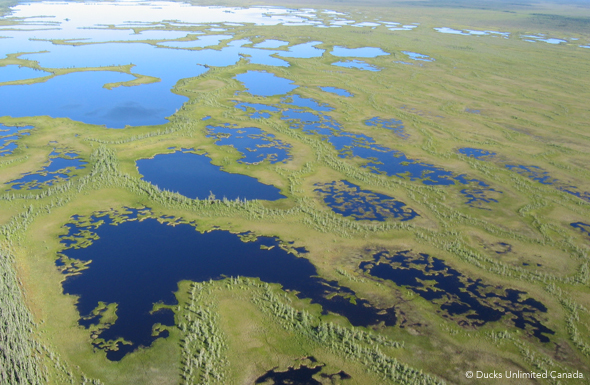 A study on the Alaskan Boreal found that since the 1950s, closed-basin ponds have shrunk considerably in both number and surface area. Continually shrinking habitat likely means shrinking populations for the birds most reliant on these vital aquatic regions. Migration is also being affected. A 2009 Audubon report found that more than half of the bird species studied had already shown considerable range shifts north, while other studies have found short-distance migratory birds to be arriving earlier in the season due to increases in global temperatures. Insects in the north are also hatching earlier in the spring. Birds that rely on these insects must lay eggs sooner when food is at maximum abundance. Long-distance migratory birds that winter in the tropics use seasonal changes in daylight rather than climatic cues to start their migrations northward. Many are at risk of not finding sufficient food in time to raise their young. Gray Jays are hoarders—they cache food to return to during snowy winters and even rely on frozen food to feed their young come spring. However, warmer autumns can cause much of their food to spoil before it has the chance to freeze. Scientists have found that Gray Jays were more successful at breeding after colder autumns than warmer autumns, which are expected to increase as climate change continues. Coming dangerously close to extinction, only 16 migratory Whooping Cranes existed in the wild in 1941. Since then they have experienced a slow, but steady increase to more than 350 individuals in the wild, the largest population of which breeds each summer in Wood Buffalo National Park in Alberta's boreal forest. However, climate change is putting pressure on the Whooping Crane. In dry years, most Whooping Crane nests fail to produce viable young. Their winter habitat along the Texas coastline is also in jeopardy, as rises in sea level would likely flood the marshes they thrive on and reduce the availability of their favored food, the blue crab.